If you’ve followed the debates about paid blog posts and sponsored Tweets, you know that advertisers are encroaching on editorial. But one of the most intriguing trends is editorial going the other way — with real, objective reporting being provided by businesses. We noted last week that IBM has launched a new Think portal filled with Economist-type content. Now Mint.com, the online personal finance aggregator, is offering news analysis to help consumers understand the complexities of different business sectors. Mint doesn’t have to do this — it could have a blog just promoting its own services — but the value it provides in understanding the financial world is intriguing enough that consumers may give it a shot at managing their finances, too. Uber-blogger Chris Brogan suggests in his new book Trust Agents that the formula for trust is the ratio of your authenticity to self-orientation. We agree, which is why paying bloggers to write reviews about your products fails the trust test, and why helpful, authentic resources like this from Mint pass with flying colors. Bonus Points: The actual formula from page 79 of Brogan’s book is Trust = (Credibility x Reliability x Intimacy)/Self-orientation. On a scale of 1 to 10, plug your communications into this formula and see what the result would be. The Internet used to be a way for people to just find information. Now, it’s turning into a free platform for doing things such as connecting with friends, writing documents, storing photos and editing home videos — and that has radical implications for how you market online in 2008. 1. It is no longer enough to have a web site. 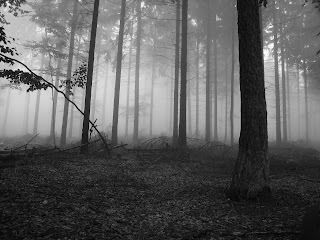 If your web site is a cottage front door, your target customers are now off playing deep in the forest. 2. It is also no longer enough to rely on keyword search or SEO to hope customers find you on search engines. New, free web services allow people to “do” and not just “search.” And people will not find you online if they are not in search mode. The source of this shift is amazing. Customers can now do things online that used to require expensive PC software. Picnik allows you to store and edit photos, Jumpcut edits videos online, Mint will balance your checkbook, and Google is rumored to be preparing a Gdrive online backup service for everything. Chris Anderson predicts in The Economist’s 2008 outlook that free online services are the wave of the future, because technology, not strategy, is driving this. As the cost of storing and manipulating data falls to zero, it makes sense for service providers such as Google to compete with incumbents like Microsoft by giving utilities away at zero cost. Of course, these “free” online service models are supported by advertising. So paradoxically, even as interest may wane in advertisements that appear next to a free online widget — leave me alone, I’m balancing my checkbook! — the company that provides the free online service wants advertisers more than ever before. Rather than expecting a Web site to be a destination all by itself, the candidates are employing what I call the “starfish” approach. A starfish has many legs radiating outward from its central core. It uses its legs to move toward its prey, which it will ultimately devour with one of its stomachs. The analogy should be clear. Social media–blogs, text messaging, video, and social networking–are the legs of your online strategy. Your Web site is the belly of the beast, where you convert visitors into customers. The only way to get to someone who is not in search mode is to intercept them when they are doing something else. We recommend to our own clients that they allocate at least 5% of their advertising budget to test a range of online communications in 2008 — keyword search on Google is a prerequisite, followed by behavioral targeted ad networks and tests with social networks and emerging widgets. Not every aspect of this new online ad portfolio will pay off. But it is vital to learn what works and what doesn’t as more consumers move their working lives and social connections online. Fail to navigate the woods, and you may never see these customers again. 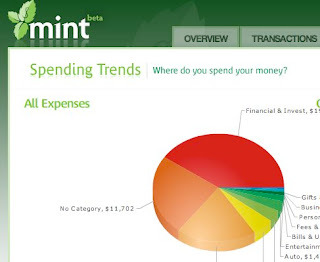 If you do nothing else this year, check out Mint.com. It’s a free web site that automatically pulls together your entire financial life — credit cards and bank accounts — sorts the data, and presents you with summaries without you having to lift a finger. The beautiful site, unlike other complex personal finance programs, does everything automatically. The site launched in September as the brainchild of Aaron Patzer. His mission is to help the under-34 crowd, especially the college kids with ADD who have $21k in loans and $3k on credit cards by the time they graduate. Unlike Quicken, Mint doesn’t require data input. You don’t have to hold on to receipts, type in numbers, or sort your spending into categories. Instead, Mint automatically pulls information from your cards or bank using the same backbone technology as Bank of America, so your information is always secure, and sorts the data for you. We tested Mint out after reading a glowing review in Fast Company. Setup took 3 minutes … we punched in an email, password, picked the names of our major banks and credit cards, put in their passwords … and were done. Mint sucked information from each of the accounts into a series of simple tabs. One web page showed spending categories. A second showed us how we could easily save $500 a year. Mint has many cool features, such as the ability to send you a text message when your bank account is low. Its pie charts and graphs break your spending down into categories, so you can easily see if your gas and food costs are rising or falling each month. It also has a few bugs — the most obvious being it double-counts what you spend within a credit card account and what you spend from your bank to pay off the same credit card. And yes, Mint exists to make money with ads or “savings recommendations” that refer you to new banks, but those are easily ignored. But damn, it’s brilliant. In 2008, thanks to Mint we may never balance our checkbook again.